"Instead of the regular rice milk used in horchata, I use 2%. I remember drinking horchata in high school all the time, I loved it. I decided to make it into a smoothie using vanilla ice cream, cinnamon, honey, vanilla extract, mint (just for fun), and milk. Garnish with mint leaves if desired." Pour milk into a saucepan over medium heat. Add cinnamon, vanilla extract, and mint. Cook, stirring frequently, until flavors meld, 7 to 8 minutes. Reduce heat and simmer for 2 to 3 minutes. Pour into a bowl; cover and chill for 30 minutes. Pour milk mixture and ice cream into a blender. Blend until smooth and thick. 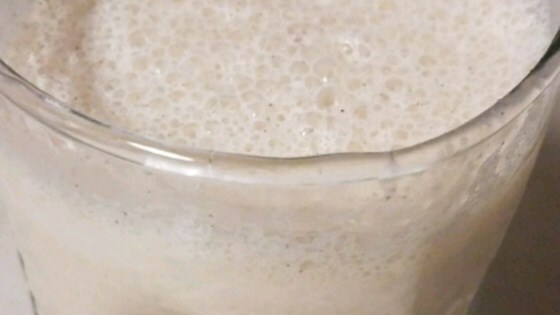 When adding vanilla ice cream, blend the milkshake to your desired thickness.